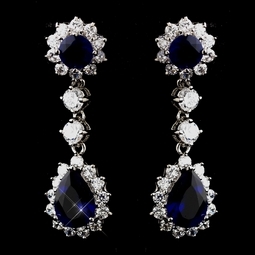 Description: Thanks to the Royal Family, sapphires are the gemstone of the year. 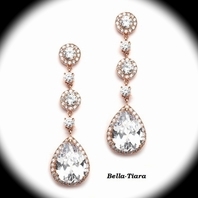 These fashionable earrings have two oval sapphire CZ crystals that both feature a halo of clear CZ crystals and drop with elegant beauty. 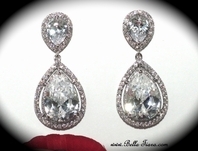 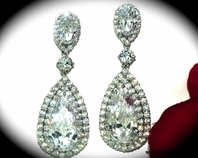 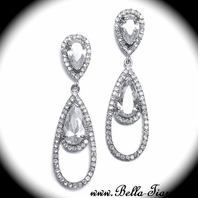 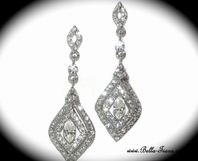 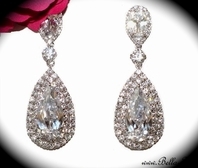 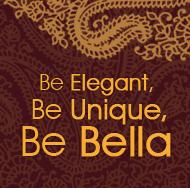 Classic and stunning, these will make a perfect accessory for weddings, proms, homecomings or any formal affair.